There’s a few things that are key to how you feel when you walk into your bedroom - mainly it comes down to floors, walls, furniture and decoration. If you’re renting you may not be able to touch the floors or walls and will have to work with what you have. If it’s your own house however, you may be wondering which colour to paint the walls so they go with your floors, or so you can make a small bedroom appear bigger. Pay attention to these elements in the photos. 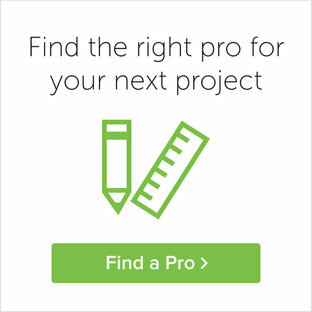 Once you are ready to hire a professional to help, jump onto the Houzz directory. No matter where you are, you're going to find the right expert to help. 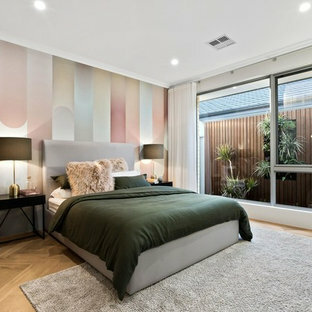 Whether you're looking for a Home Stylist in Melbourne or a Cabinet Maker in Sydney, you will find what you are looking for and need for your bedroom renovation project. This is an example of a mid-sized contemporary master bedroom in Perth with medium hardwood floors and beige floor. 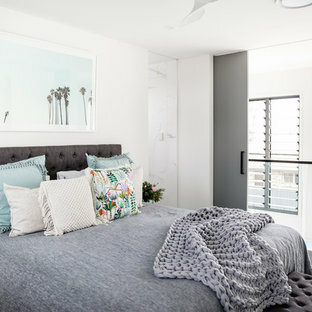 Contemporary bedroom in Sunshine Coast with white walls, carpet and grey floor. 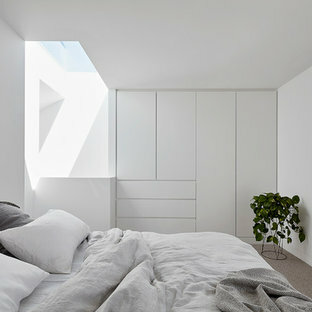 Photo of a contemporary bedroom in Melbourne. Beach style bedroom in Central Coast with white walls, medium hardwood floors and brown floor. Contemporary master bedroom in Brisbane with white walls, carpet and grey floor. This is an example of a scandinavian bedroom in Sydney with white walls, medium hardwood floors, a standard fireplace and brown floor. 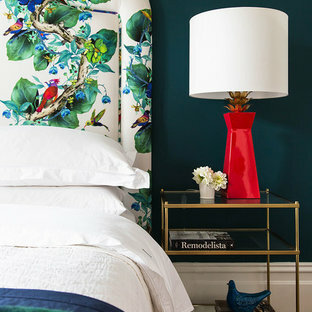 Inspiration for a mid-sized eclectic guest bedroom in Melbourne with green walls and medium hardwood floors. 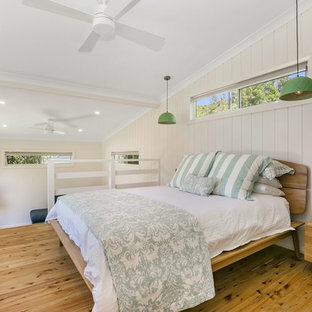 Beach style bedroom in Sydney with white walls, light hardwood floors and no fireplace. 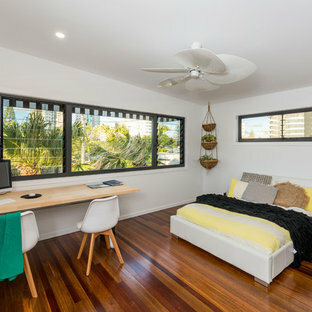 Beach style bedroom in Gold Coast - Tweed with white walls, dark hardwood floors and brown floor. 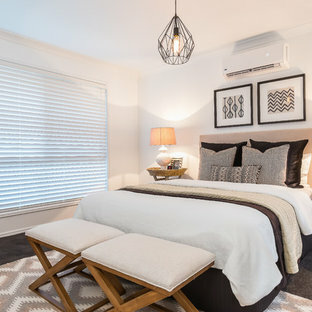 Photo of a contemporary bedroom in Perth with carpet. This is an example of a beach style master bedroom in Sunshine Coast with beige walls, dark hardwood floors and brown floor. Design ideas for a transitional bedroom in Sydney with dark hardwood floors, a corner fireplace, a stone fireplace surround and brown floor. Design ideas for a mid-sized transitional master bedroom in Sydney with white walls. The U-house was designed to ensure the owners will receive maximum natural light into each room whilst maintaining the luxury of having both summer and winter outdoor spaces. As you enter the house, you will experience a visual connection from front to rear of the property through a feature pond creatively placed in the central courtyard. Photos by Ben Hoskins. 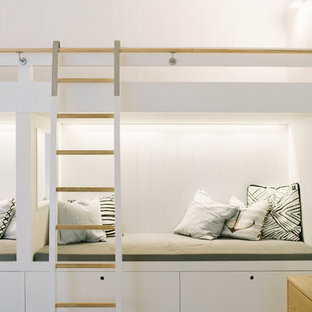 Design ideas for a contemporary master bedroom in Sydney with white walls, concrete floors and no fireplace. 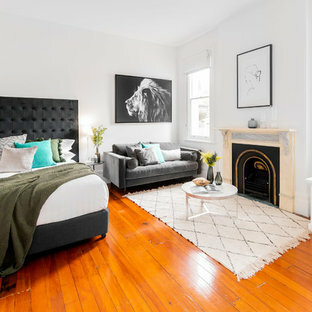 Inspiration for a contemporary master bedroom in Melbourne with white walls, carpet, a standard fireplace, a wood fireplace surround and grey floor.